It represents Love. He is a loving family and community animal who takes care of the welfare of the pack above his own. They are generous parents and they mate for life. The wolf is in some part is considered as a teacher. He teaches you about compassion and loyalty to family, friends,and children. If you come from a dysfunctional or abusive background, the wolf teaches you to replace the hurts and negativity patterns with qualities that help you to become a loving being. With our brother wolf we learn about forgiveness, trust, community,and generosity. Wolf people are sensitive and intuitive. Their intuition helps them to discern quickly the attitudes and intentions of others.Wolf people look for a permanent relationship. Changing partners can have a very devastating effect on the wolf temperament. Wolf people are hunters but they aim in the realm of philosophy and religion, for they seek out that which may appear to give meaning to their life. They are warm, sympathetic, and understanding. Usually people come to the wolf in times of stress and difficulties. 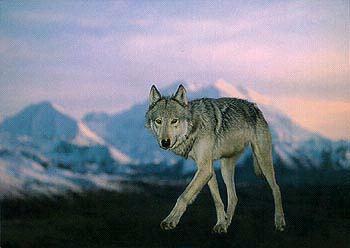 Wolves need to be free to make their own choices rather than have them imposed. Wolves find it difficult to stand apart of any work they have done. Wolf's philosophical attitude to life is expressed in their basic adaptability to any situation or environment in which they find themselves, they just make the best of it.